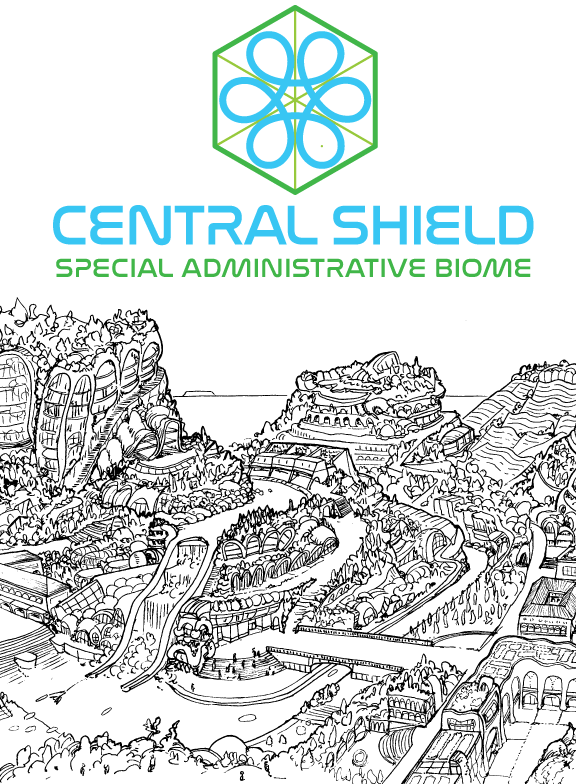 Central Shield is a densely populated, self-regulating, ecologically integrated megacity on the north shore of Lake Superior, in Ontario, Canada. It stretches from Thunder Bay Ontario, across the north shore of Lake Superior to Marathon. The name Central Shield comes from the Central Shield Forest eco-region in northern Ontario, the location of this project. Which has been selected for its geological stability and abundance of fresh water. This Canadian ecopolis will offer citizenship to global climate refugees and willing participants in its expermental approach to urbanisation. It is planned to have a population of 30 Million people by the year 2170. It will be the first of many of Special Administrative Biomes established globally as part of humanity’s transition to an equitable culture that respects planetary boundaries. This eutopian city is one part of the larger Future Parfait project that also includes the Cosmazon dreamtime and Lodar stories.